Join Cypress Creek Renewables for a fundraising evening to make a contribution that will be matched by the power houses in the energy and finance space. For one night, by raising a glass (or two or three), you can help the 80% of Puerto Rico residents who still have no access to power or clean running water in the aftermath of Hurricane Maria. 100% of all proceeds will go towards rebuilding and improving Puerto Rico’s infrastructure. To date, Cypress has assembled over $25,000 in corporate matches. We continue to receive an outpour of support from energy-related companies interested in matching. By partnering with Empowered by Light , we trust that your multiplied donations will hit the ground running to be used for building high-quality, distributed solar in local communities that need it the most. We encourage professionals in and friends of the energy, finance, and tech sectors to RSVP for our event by making a donation. 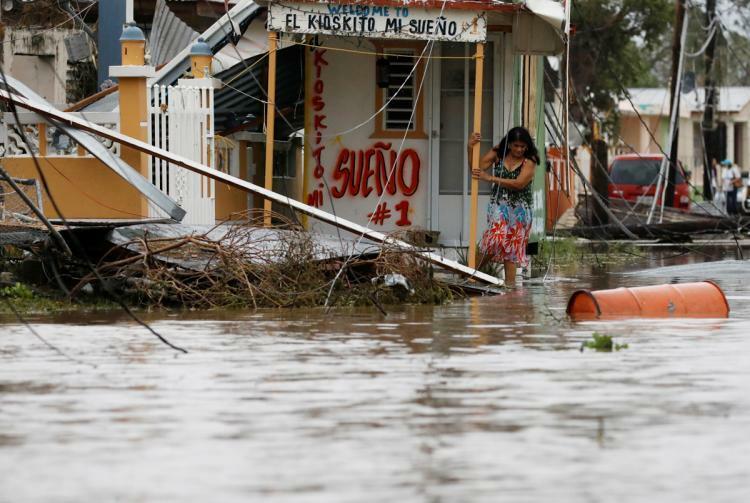 100% of all of your donations and our corporate matches go directly to our exclusive partner, ConPRmetidos, and their Maria:Puerto Rico Real-Time Recovery Fund. To read more about how ConPRmetidos is connecting with various on-the-ground organizations to re-energize the country, read more here. 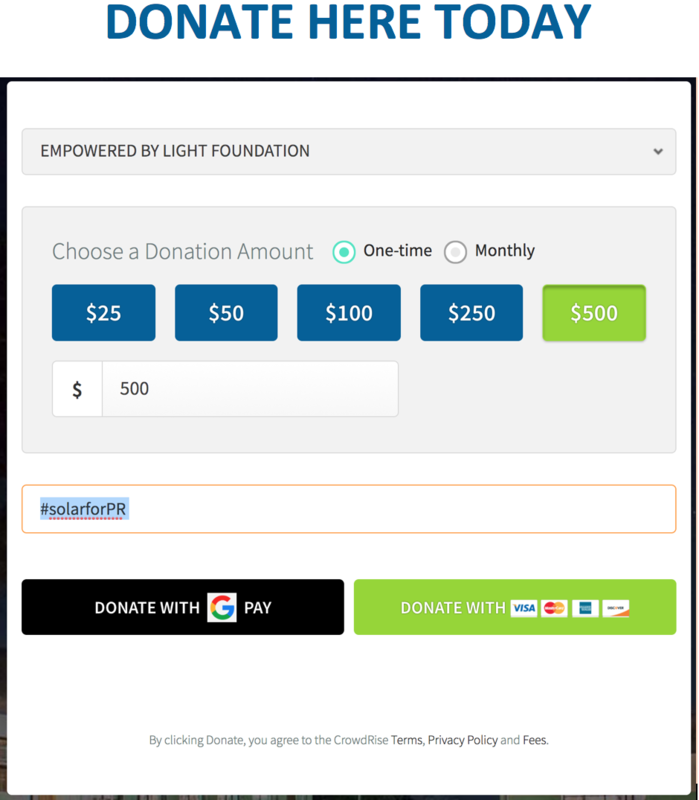 100% of your donations and our corporate matches go directly to our exclusive partners, Empowered by Light and GivePower. ^^^ In order to match donations, we will use our event's hashtag to ID and track donations that are linked to this event. Bring your donation receipt to the event as your ticket in to the venue. Save paper and show us on your phone! If we collectively hit the minimum bar tab of $3,000 (the math: two drinks a person), Standard Deviant will donate 100% of the venue deposit AND 50% of proceeds over the bar tab to Empowered by Light. When you RSVP, you will be asked to go to the ConPRmetidos site and donate to the Puerto Rico Real-Time Recovery Fund. There, you can donate to the fund directly, which is tax-deductible as well. Keep your email receipt, it's your ticket into our fundraiser event! If we collectively hit the minimum bar tab (the math: two drinks a person), an additional $2,000 will go straight towards the Real-Time Recovery Fund, and 50% of proceeds over the tab will go directly into the fund. Now that's a glass half full. *The sponsors of this event advocate a safe environment for all. Please drink responsibly. In addition to our matching Corporate Partners, we will also hold an exciting live Silent Auction on the night of the event! Our company has partnered with local San Francisco companies and organizations to bring you exciting items to bid on. From personal training sessions to wine tasting packages, there is something for everyone! Below is a list of the items you can bid on along with more information from our amazing donors! Click the company's logo to access their website and stop by our auction booth on the day of to place your bid. All proceeds will go directly to Empowered by Light! If we collectively hit the bar tab (the math: three drinks a person), Standard Deviant will donate 100% of the venue deposit AND 50% of proceeds over the bar tab to Empowered by Light. After the event, the total event proceeds tagged by #solarforPR will be matched by our corporate partners, up to the amounts they have designated.